Tarek Pacha, DO completed his urologic residency at Michigan State in 2012. He is currently in private practice at Coosa Valley Medical Center in Alabama. Excelling in his urologic academics, he was among the highest scoring residents in the country. In Dr. Pacha’s first year, he scored in the 96th percentile on the AUA in-service exam. The following three years he scored in the 98th, 99th, and 99th percentile, respectively. 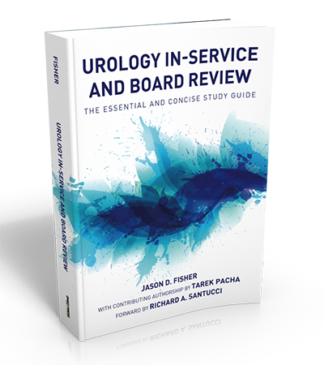 Dr. Pacha recently passed the written portion of the urologic boards. He also was on the winning urologic Jeopardy team during the North Central Section meeting and Michigan Urological Society meeting. Dr. Pacha is passionate about academics, and he wants you to ace your urologic standardized tests!